Giuseppe Verdi, in his late seventies when he wrote Falstaff, proved one gets happier as one gets older—this was only the second of his 28 operas to be a comedy—and the most ambitious. Just as there are books one must read so there are operas one must see. Falstaff has reigned over the world's opera houses for over 100 years. 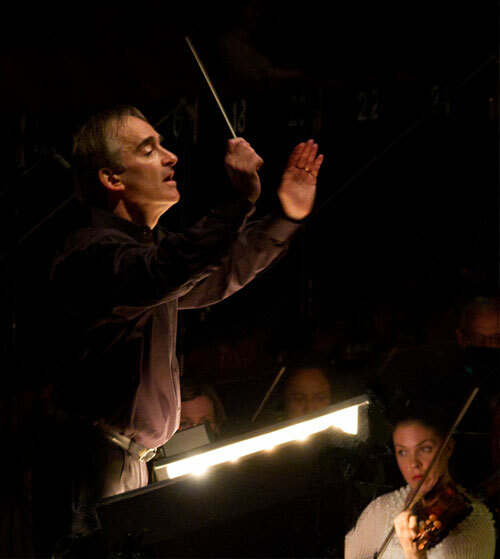 Although we attended the performance at the Dorothy Chandler Pavilion in Los Angeles, in honor of the composer’s 200th birthday, the Metropolitan and San Francisco operas are putting on Falstaff this season (we will make all three while exploring the impact of music on the health of the human species). A sneak preview before the first official performance on November 9 afforded all the derivatives of the massive production—from breathing the masterful composition, rich men’s vocals and chic sopranos, to admiring conductor’s hands’ choreography. As much as it seems unfathomable to adapt to a modern auditorium for an opera, a movie-like scenery and lighting do not leave a chance and eagerly gulp one in. Moving in the 3000-seat theatre, I found the sound better on the balcony than at the far end of the parterre, so one might save on tickets. Italian baritone Roberto Frontali owns the comedy genre—and the audience. When the porcine knight goes into his falsetto, it will unfreeze the most deeply frozen lips. As much as fattening costume allows, he portrays a character who knows that while he may be a source of derision he is also the source of laughter. 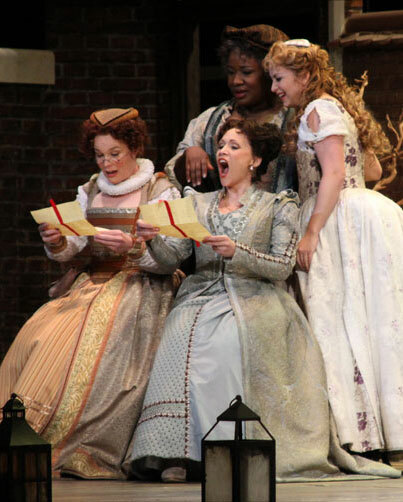 Soprano Carmen Giannattasio, who debuted in Covent Garden as Mimi in La Boheme in 2012, sings Alice Ford, which she reprises from earlier in the year for La Scala. Falstaff exceeds expectations one might have for an opera company that isn’t mentioned in the same breath as the Metropolitan, La Scala or The Royal Opera. But maybe it’s time to look again at the LA Opera, which, under the direction of Plácido Domingo and James Conlon from the list of the highest paid conductors, makes another spot on Earth where it is possible to buy three hours of happiness. 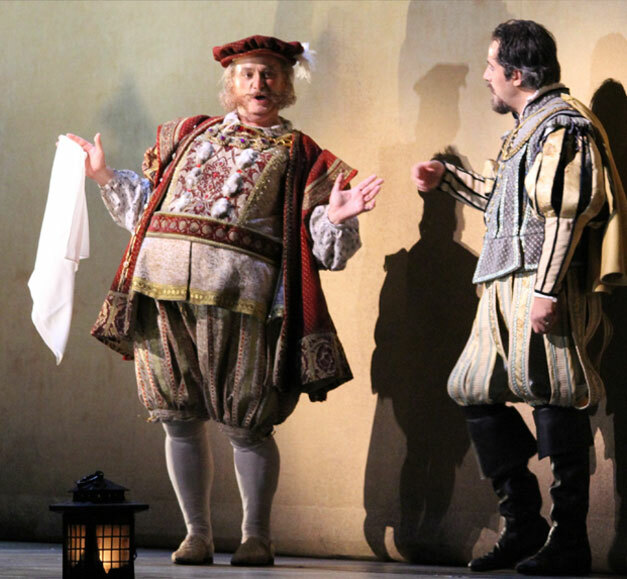 LA Opera performance dates for Falstaff: November 9, 13, 16, 21, 24, December 1.